​Removed from bioclimatic design and vernacular styles, modern buildings have become merely icons, symbolic of humankind’s victory over nature – evident in the rapid escalation of global greenhouse gas emissions and fossil fuel consumption. As tropical regions face unprecedented growth, this thesis looks to the physiological adaptations of tropical plants to identify façade design strategies that reduce or eliminate the need for air conditioning in hot-humid regions. Using the dynamic stressors of tropical climates as a source of inspiration, this work hypothesizes that the abundant latent energy found in tropical climates can be used to power discernible thermal change in unconditioned spaces. Using environmental cues to trigger non-linear events, plants can change observable characteristics in response to even small changes in external stimuli. This research questions how extreme differentials at the façade can promote change in interior environments. Using infrared photography to understand the thermal response of tropical plants under environmental stress plus an extensive review of plant physiology, this thesis explores space, variability and storage, as strategies for building enclosure systems. Given the innate ability of porous materials to change characteristics in different environments, materials are manipulated to control directional vapor drive in ways that benefit interior thermal comfort. To explore the hygrothermal behavior of potential enclosure materials and assemblies, the author designed and constructed a custom tabletop hotbox, which is easily and affordably replicated. Through extensive testing and biological translation, the result is a repeatable method of exploring natural phenomena and choreographing moisture drive in building materials, as inspired by plant biology. Liz is an architect and researcher whose work aims to reduce mechanical cooling loads in hot-humid climates by enhancing building façade systems. She joined Eskew+Dumez+Ripple as the 2017 research fellow after completing her Master of Science in Building Technology from the Massachusetts Institute of Technology. After receiving her Bachelors of Architecture (BArch) and Fine Arts (BFA) from the Rhode Island School of Design, Liz practiced in Santa Fe, Seattle, Boston, Houston and Singapore before relocating to New Orleans. 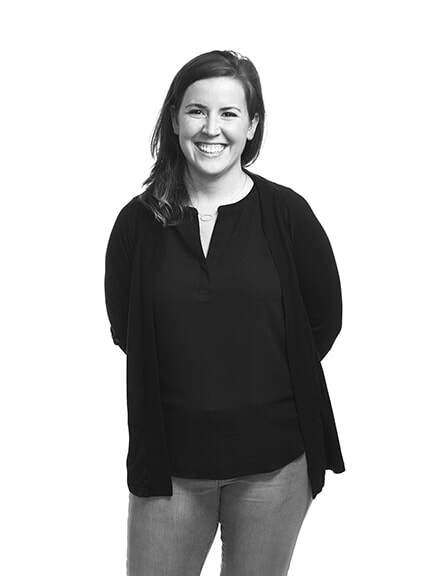 With a sizeable portion of the globe occupying hot-humid climate zones, Liz’s work strives to enhance architectural innovation and construction technologies in these areas. Her work explores climatically sensitive and contextually appropriate building enclosure designs that both connect the occupant to the outdoors and reduce the dependence on mechanical conditioning. Liz is also a LEED AP and a Certified Passive House Consultant.